This house was originally built in 1876 by John Ward and acquired by Sir William Whitla in 1906. 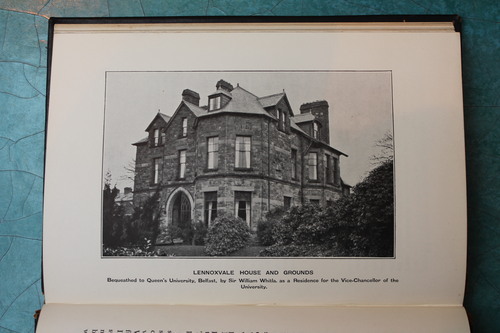 He used it as his residence until his death in 1933 when he bequeathed this house to Queen's University of Ireland of Belfast as a residence for the Vice-Chancellor. grounds contain also two lakes at which were originally the Strand Mill dam and that were part of the municipal water supply to Belfast. The lakes are still present but little used.